DIRECTV has had an ongoing series of television commercials demonstrating the rippling effects of not getting Direct TV. Roadside Ditch, Stray Animal, Dog Collar, Wig Shop, Platoon, House, won a Gold Film Lion at Cannes International Festival of Creativity in 2012. 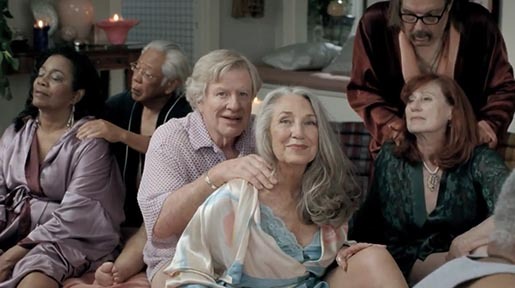 Three newer commercials, Funeral, Dinner Party, Pizzeria, won a Gold Film Lion at Cannes in 2013. The Ripple Effects campaign was developed at Grey New York by chief creative officer Tor Myhren, executive creative director Dan Kelleher, creative director/copywriter Steven Fogel, creative director/art director Doug Fallon, agency producers Andrew Chinich and Lindsay Myers, project manager Joanne Peters, planner Melanie Wiese, account supervisors Chris Ross and Beth Culley, account manager Kristen Stahl, producers Scott Howard and Emily Skinner. Filming was shot by director Tom Kuntz via MJZ with director of photography Chris Soos. Editors were Erik Laroi and Nick Divers at Mackenzie Cutler, with sound designer Sam Shaffer. Post production was by Method Studios, New York.